Social media has always been a medium for many public figures to show off portions of their lives. 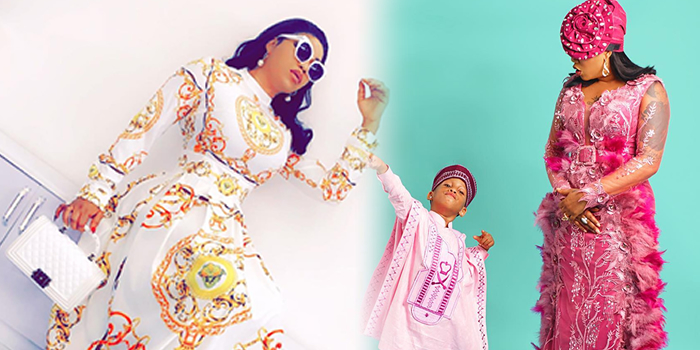 Celebrity fashion icon, Toyin Lawani, recently warmed the hearts of her fans to a cute photo. The celebrity fashion stylist, who is known for showing off her little boy on social media, recently shared a lovely photo on Instagram. In the photo, mother and son were spotted striking poses for the camera in a pink themed fashion ensemble. Lawani’s son, Oluwatenola, was donned in cute traditional native attire which was paired with a befitting cap. From her pose, the celebrity mum seemed to be shocked at the pose her son was rocking while the picture was being taken. She posted the picture, asking her followers to caption the photo. Some fans were quick to take to the comment section, dropping what they dimmed fit to be the best caption for the image. 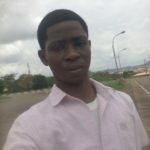 okohsusan: Mummy our love nor go end here❤️❤️❤️❤️❤️❤️ Na so we go dey love dey go…..
d_food_boss: Look the sky is a staring point for [email protected] and I.